Mr. Arthur Gene McDaniel, 74 of Elliottville, passed away Saturday morning in the St. Claire Regional Medical Center. He was born in Rowan County, Kentucky on July 25, 1944 to the late Harshel and Virgie Blankenbeckler McDaniel. 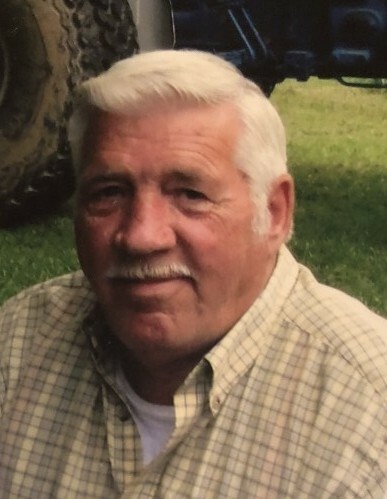 Gene was retired from the Webb Forgin Steel Mill and enjoyed woodworking, raising a vegetable garden, making clocks, driving his Ford tractor and spending time with his family. He was a member of the Elliottville Baptist Church. Besides his parents he was preceded in death by an infant brother Walter McDaniel. Survivors include his wife Judy Cristobal McDaniel who he married on March 22, 1969, they would have celebrated their 50th Wedding Anniversary next year. Three sons, Rodney McDaniel and his wife Shawn of Ypsilanti, Michigan, Kenny McDaniel and his wife Paige and Eric McDaniel and his wife Stephanie all of Morehead. Two daughters, Mona Susack and her husband Richard of Belleville, Michigan and Anita Guinn and her husband Ralph of Lexington, Kentucky. Four brothers; Audie McDaniel and his wife Judy of Belleville, Michigan, Elwood McDaniel and his wife Martha of Albertville, Alabama, Michael McDaniel and his wife Joann of Belleville, Michigan and Roger McDaniel and his wife Marilyn of Morehead. Four sisters; his twin sister Jackie and her husband Roscoe Humbarger of Wallingford, Kentucky, Alberta Harris of Salt Lick, Kentucky, Annie Townsend and her husband Bud of Fayetteville, Tennessee and Marlene Ward and her husband David of Ypsilanti, Michigan. Eight grandchildren; Ericka Murnighan, Jamie McDaniel, Nicholas Susack, Heidi Susack, Sara Butler, Jacob McDaniel, Kendall McDaniel and Amaya McDaniel. Three great-grandchildren; Conner Susack, Sophia Susack and Logan Susack. Also, several nieces, nephews and other relatives and friends. Funeral services will be conducted 10 A.M. Tuesday in the chapel of the Michael R. Gray Funeral Home in Morehead with Rev. Willie Sturgill officiating. Burial will follow in the Roe Cemetery in Elliott County. Pall bearers will be Herman Conn, Mark Humbarger, Brent Humbarger, Glendon Harris, Kevin McDaniel, Tommy Hovis, Gary Hovis, Kenneth Harris and Richard Susack. The Michael R. Gray Funeral Home in Morehead is caring for all arrangements for Mr. Arthur Gene McDaniel.